With the unique PC/iPod input with higher gain (6x) works with low output-voltage sources making Trends PA-10 Tube Headphone/Pre Amplifier for iPhone perfect for integrating iPhone/iPod or PC into your audio system. 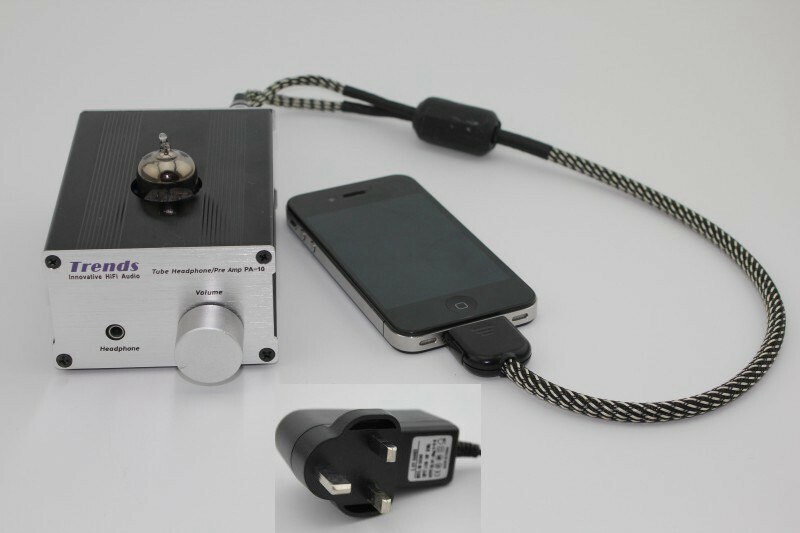 Trends PA-10 for iPhone provides all functions of headphone amplifier and pre-amplifier. Better sound quality, larger storage capacity and a more user-friendly interface than most standard CD players.